We have just finished the pond in the indigenous fragrance garden and are now eagerly waiting for new lily leaves and flowers to appear above the water. The new pond with its thick sandstone edge, is an inviting feature to linger at while enjoying the fragrance of the lilies, reflections in the water and shade of the surrounding African walnut trees (Schotia brachypetala), after a long walk through the garden. The water is still murky, but it should settle and clear within the next few weeks, as the water in the pond is filtered naturally by plants. The pond depth of 600mm is ideal for water lilies to thrive. 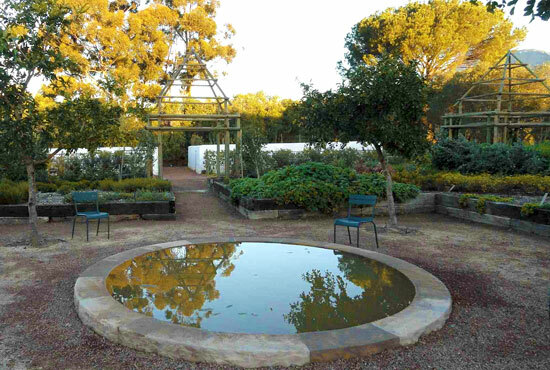 We planted, or rather plunged, pots with waterblommetjies and water lilies into a thick bed of stone chips. Both these indigenous water lilies have fragrant flowers, but you need to get close with your nose almost touching the petals to catch the delicate scent. 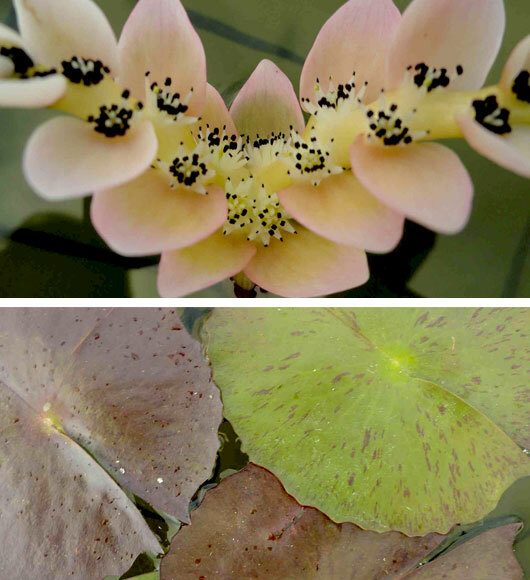 The winter flowering waterblommetjies (Aponogeton distachyos), reminds me of vanilla while the summer flowering blue water lily (Nymphaea caerulea) has a light citrus scent. See more images of the process of creating our lily pond in our Gardens Album on Facebook, and we hope to see you at the pond soon too, enjoying the delicate blooms.